Welcome to my daily gratitude journal. Everyday I will share one thing for which I’m thankful in each of the areas of family, work, and well-being. 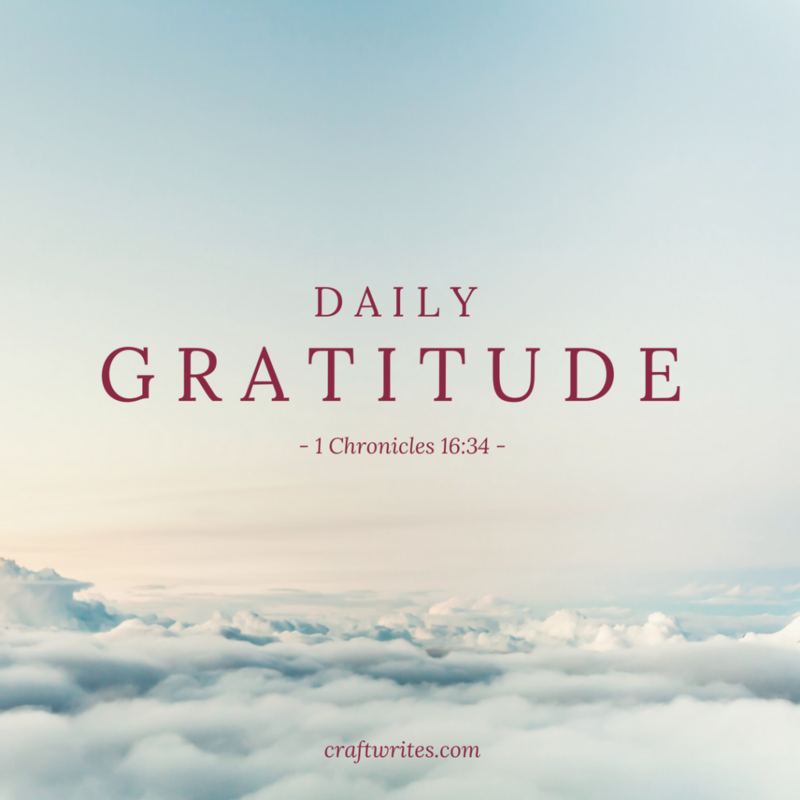 Every day, every moment, and every experience (even the “bad” ones) present opportunities for thankfulness. But to whom are we to express thankfulness? God, our Heavenly Father, must be the object of our thankfulness. All good things come from Him (Jas 1:17); and He works all things (once again, including the “bad” things) together for the good for those who love Him (Rom 8:28). Family: The great relationship that I have with my wife’s parents. You hear so many in-law horror stories. Thankfully, that’s not the case for me. Work: Giving me a podcast project that will allow me to learn from new and interesting people. I’m also producing the instrumental music that will accompany the podcast episodes…so I’m thankful that I’m able to work with music again too! Well-being: Godly friends who take out time from their busy schedule to speak and pray with you. A man doesn’t need a lot of friends…just a few faithful ones will do! These are the three things for which I’m thankful today. I pray that my journal will inspire you to express thankfulness daily to God. Join me on my gratitude journaling journey!